"Well, a stranger's just a friend we haven't met yet." Truthfully, this never resonated with me. As a child, let's just say I leaned towards caution. Stranger = danger. I was probably the most open to meeting new people in my 20s and then I comfortably slid into an introvert(ish) lifestyle in my 30s and beyond. It was never that I didn't like people, it was always more of an issue of hating small talk and craving a deeper connection. I have a fabulous husband and always have had one or two intimate friendships. It is all I ever needed. Adding superficial friendships never interested me. 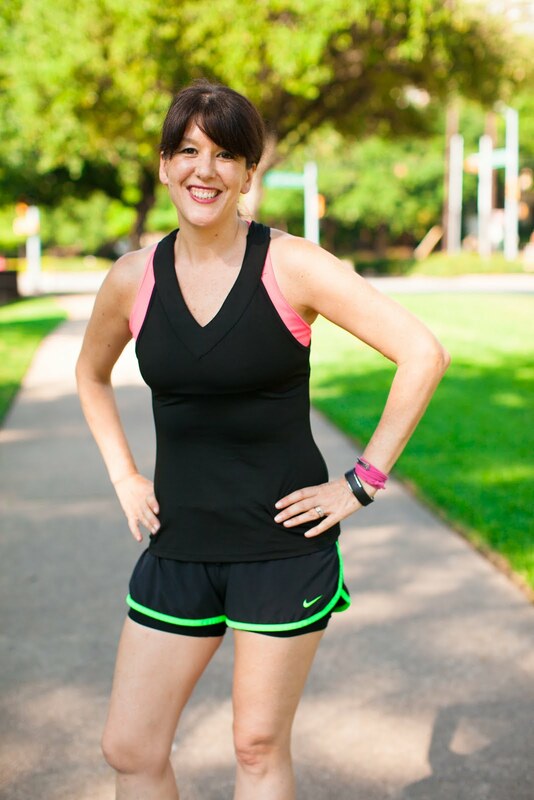 Five years ago I started a running blog because I loved to write and I loved to run. My only readers were my husband (I had to twist his arm) and people in my bloodline. I didn't care. I knew nothing about SEO, I never thought for a second about how to grow my readership or build a following. It just never occurred to me. I just wrote, blissfully unaware of where all of this was going. 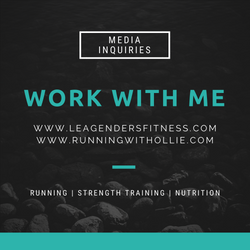 Back in 2012 I joined a couple of online fitness blogger communities like Sweat Pink and Fitfluential and started making online blogger friends. These were ladies that were just like me! 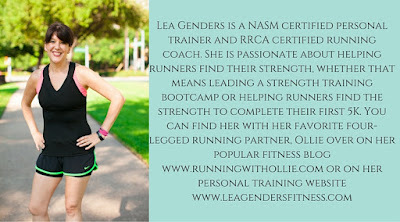 They understood my passion for running (even if none of my real life friends did) and I leaned on them to navigate this whole blogging thing, which at the time was still relatively new to me. Fast forward to 2016. Social media is becoming the new blogging and my network of online friends and runners has grown exponentially. When I travel to an out of town race, I love to meet up with my fellow runners and bloggers. I feel like I have friends in every city that I could think to travel. It's amazing to make an in-person connection with someone that you know online. You would think my preference for avoiding superficial relationships would have me shy away from these types of relationships, but the opposite is true. Why? Because paraphrasing the wise Uncle Jessie: Runners are friends we haven't met yet. Now I am sure there are some jerky runners out there, but honestly, I don't think I've come across one in my running/blogging circles. The running community is largely welcoming, inclusive and supportive. When you connect with people who share your life's passions, you are not meeting strangers, you are meeting friends. As a self proclaimed introvert, I have personally experienced this time and time again. I love making those connections with my runner friends from all over the country. This weekend the Rock 'n' Roll half marathon was in my city, Dallas. 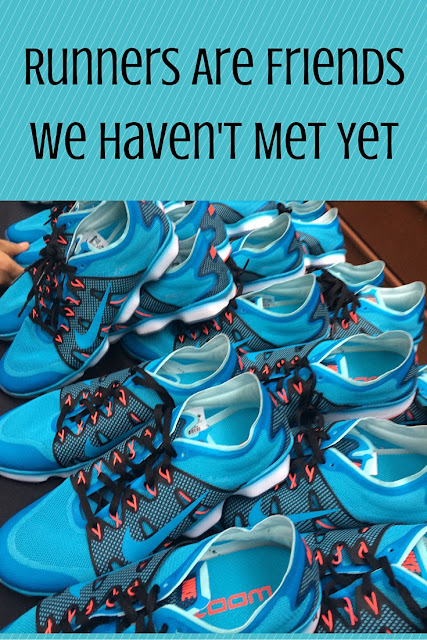 I was so excited for a #werunsocial meet up at the expo on Saturday and hoped to meet up with some of my rock 'n' blog teammates too. We Run Social hosts meet ups at racing events all over the county. Everyone is welcome and I've been seeing their posts on social media for sometime now. 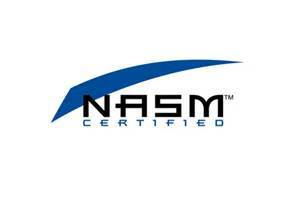 I was excited to be a part of it. I jumped in my car at 10:30am in Fort Worth to make the 30 mile trek to downtown Dallas to pick up my race packet and join the meet up planned for 11:30am. Well, Dallas traffic had other plans. What should have been a 40 minute drive turned into an hour and half because two lanes on the highway were closed due to an accident. Argh. I did a good job of not freaking out. While I felt my stress level rising, I reminded myself that while disappointing, missing a meet up was not the end of the world. Breathe. It was noon by the time I made it to the convention center in Dallas. My patience was all used up and I paid $20 to park my car because I just couldn't drive around anymore. Breathe. I headed over to the Rock 'n' Roll marathon booth fully expecting to have missed all the fun. While I did miss the big meet up, I was thrilled to see a couple of faces that I recognized. It was fellow rock 'n' bloggers, Elizabeth from @TrainwithBain and Briana from @Matmilesmedals who I have connected with before at BlogFest in LA last year and in Las Vegas for the Rock 'n' roll marathon. Then I met the lovely Letty from @fitaholicmom who by the way, was just the winner of my race essentials giveaway on Lea Genders Fitness and she was there wearing the cute Procompression socks she won from my giveaway. Cute, right? Thanks to my running friends for making another race expo way more fun than just picking up a packet! My next order of business was figuring out what to wear. We were expecting the coldest day Dallas has seen so far in 2016, go figure. Even though it seems like we skipped winter this year, Mother Nature likes to pop in every once in awhile to remind us the weather can (and will) change at the drop of a hat. We were expecting 40 degree temperatures at the start and a high of 50 for the day. I ultimately decided on shorts and light weight long sleeve top, which I was sure would mean I'd be too cold at the start and too warm towards the end of the race. Are you running any races soon? Have you ever met any of your running, social media or blogging friends in real life (IRL as the kids say)? Were you as surprised as me to have made genuine connections? 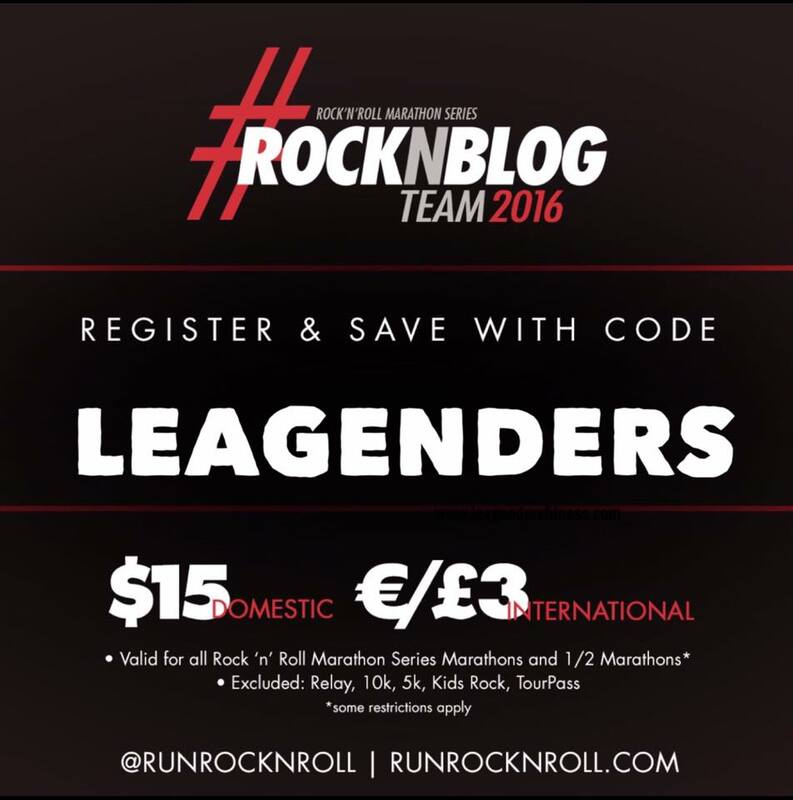 If you are running an rock 'n' roll marathon series races in 2016, you can use my discount code to save $15 off the marathon or half marathon distances at www.runrocknroll.com (some restrictions apply). 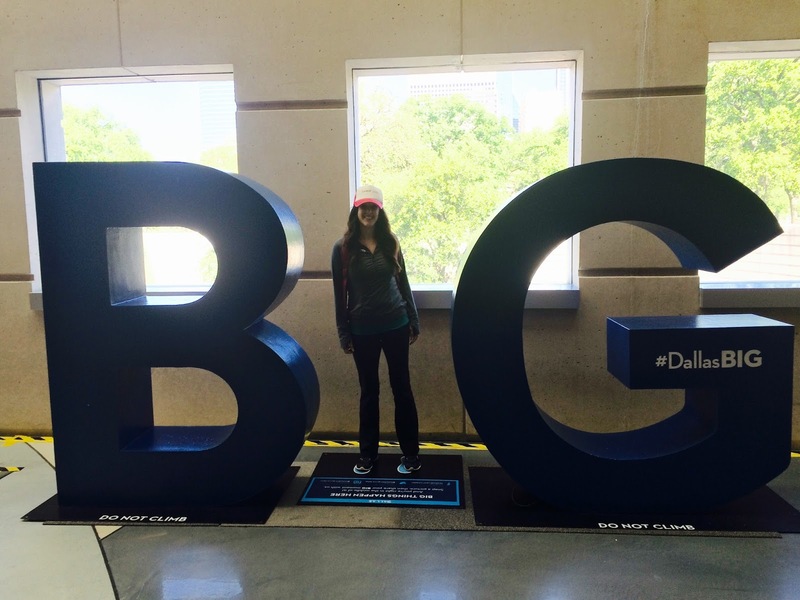 Stay tuned for my Dallas rock 'n' roll half marathon race recap (after I get some sleep)! The Rock 'n Roll Marathon sounds fun! I haven't been to enough expo's yet to have a favorite. This one looks amazing! It was fun! Expos are mostly all the same -- It's the people you run into that makes the difference!